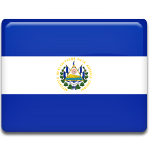 People of El Salvador annually celebrate Independence Day on September 15. This day marks the anniversary of declaration of independence from Spain in 1821. At the begging of the 16th century the Spanish arrived in Central America and brought a smallpox virus to the lands. The virus started spreading across the territory, killing indigenous peoples of the Maya, the Pipil and the Lenca. The territory of present-day El Salvador was conquered by Spanish captains Gonzalo de Alvarado and his brother Pedro de Alvarado in 1526 and the town of San Miguel was established. The Spanish conquistadors called the land Provincia De Nuestro Señor Jesus Cristo, El Salvador Del Mundo, that later was abbreviated to El Salvador. In 1609 El Salvador became a part of the Captaincy General of Guatemala. At the beginning of the 19th century the anti-colonization movement started to spread among the colonies of Spain. In El Salvador the independence movement was launched on November 5, 1811 be priest José Matías Delgado. The leaders of the movement were arrested and sentenced to jail, but finally El Salvador, along with territories of Guatemala, Honduras, Nicaragua and Costa Rica declared independence from Spain on September 15, 1821. Shortly after El Salvador was annexed by the First Mexican Empire.